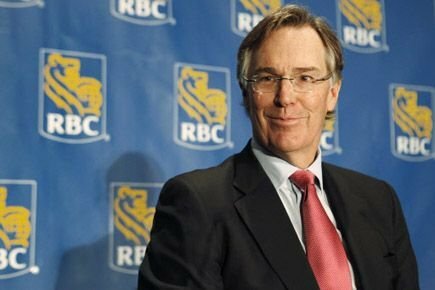 David McKay, chief executive of the Royal Bank of Canada, believes consumer demand is roughly in line with supply, particularly after housing starts dipped 16 per cent last month. McKay told a New York audience that he “feels good about the Canadian housing market,” adding that he anticipates a 2.4 per cent economic growth for the country this year. McKay admitted, however, that there is a shortage in new single-family homes for markets such as Vancouver and Toronto as new land is not being released into construction. “A lot of the price inflation that you’re reading about in the Canadian housing market is largely driven by lack of supply in single-family homes, strong household formation, strong immigration numbers – so demand is still there,” he said. I think that when every second appraisal that hit's your desk on homes in the GTA causes you say to yourself "this makes no sense at all" or "this is ridiculous" then it is a small but telling piece of anecdotal research that would indicate that house prices in some areas may have detached from any rational valuation. Mind you, I have thinking that for 4 and half years and property pricing has not dropped a cent.